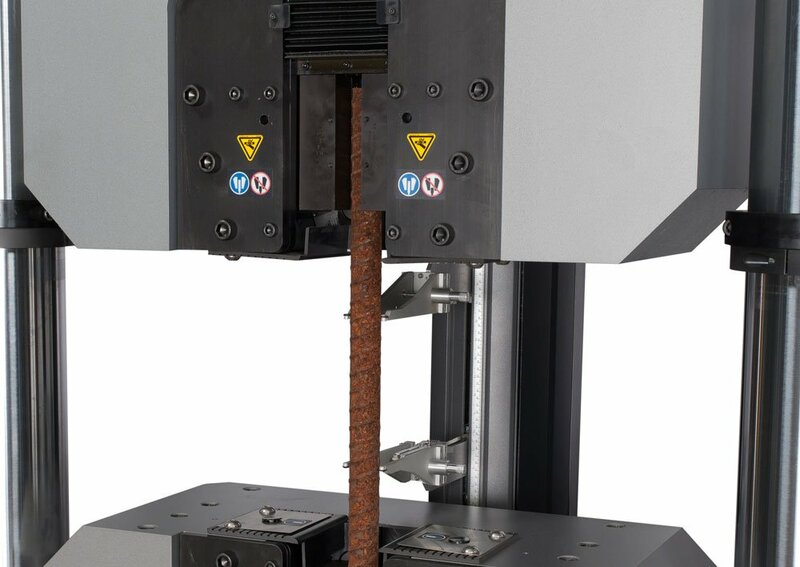 The trend toward high-strength, lightweight materials for the aerospace, energy, construction, and transportation industries requires materials testing systems to be durable, yet maintain precise control while generating critical test data. Software user interfaces must be easy to use, yet flexible enough to meet the increasing demands of the testing world. The Industrial Series delivers exceptional performance packaged in reliable, innovative system designs that offer superior accuracy and repeatability, improved safety, and an overall enhanced user experience. Instron® hydraulic side-acting grips provide an innovative solution for high-capacity testing and deliver enhanced gripping performance, usability, and operator safety over traditional grip designs. 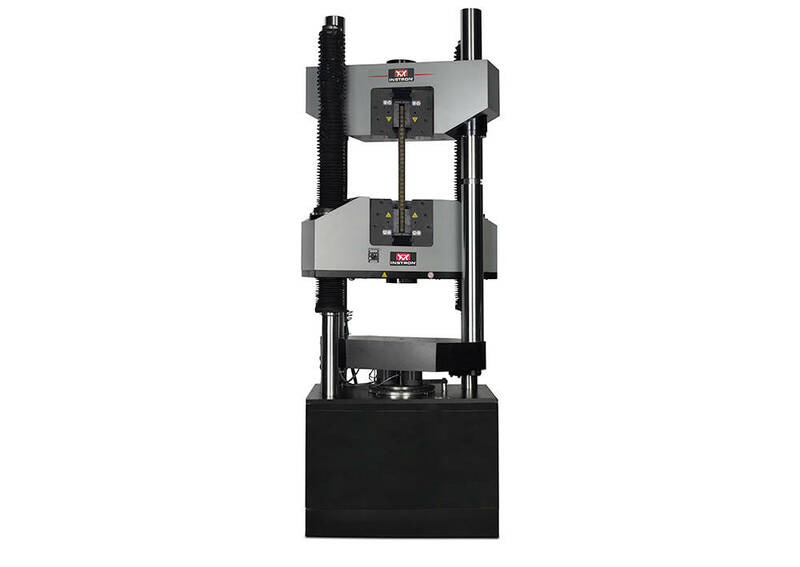 These advanced grips maintain a constant clamping force on the specimen that acts perpendicular to the direction of testing and is independent of tensile loading. 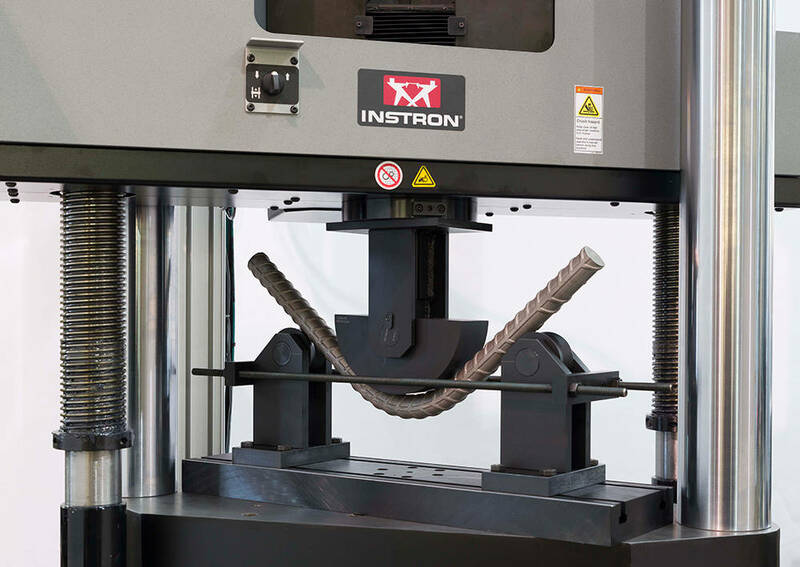 Instron® hydraulic wedge grips provide an innovative solution for high capacity testing and deliver enhanced gripping performance, usability, and operator safety. 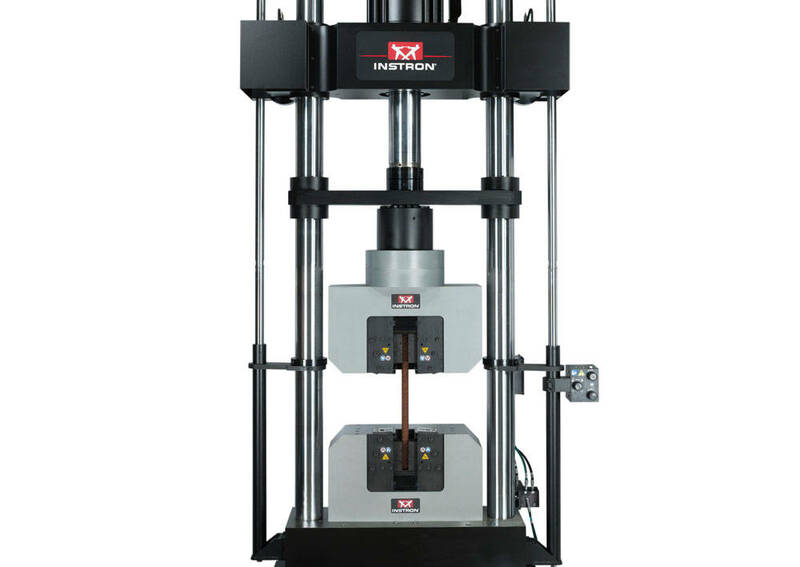 Industrial Series KPX Models are designed for high-capacity tension, compression, bend/flex, and shear testing. Featuring an ultra-large single test space and adjustable crosshead options, these frames deliver exceptional flexibility for a wide range of testing applications and are available in capacities ranging from 600 kN (135,000 lbf) to 3,500 kN (800,000 lbf). Featuring a dual test space and long test stroke, HVL Models are designed for high capacity tension, compression, bend/flex, and shear testing. 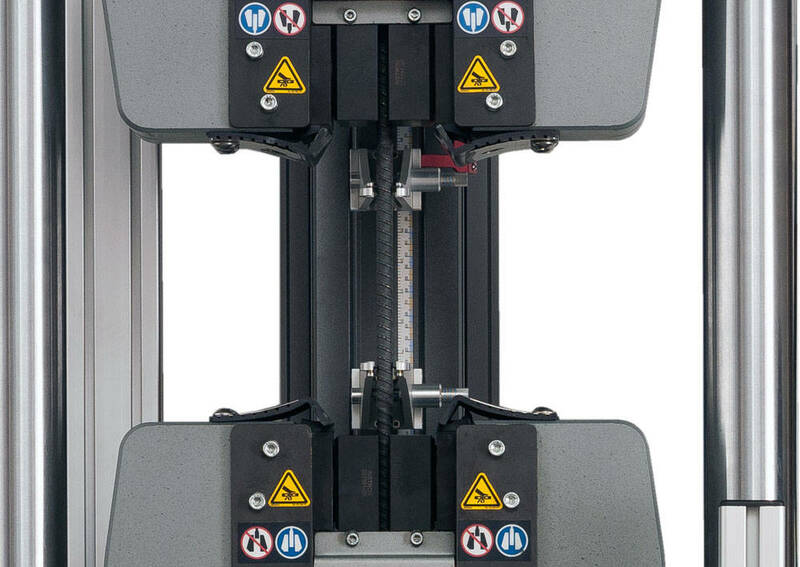 Featuring a large, single test space and single footprint, LX Models are designed for high-capacity tension, compression, bend/flex, and shear testing. 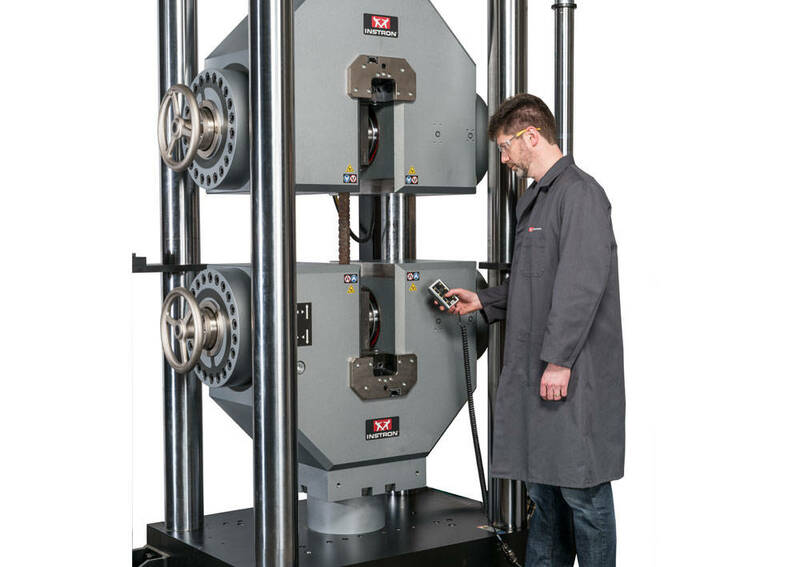 Featuring a dual test space and single footprint, DX Models are designed for high-capacity tension, compression, bend/flex, and shear testing.